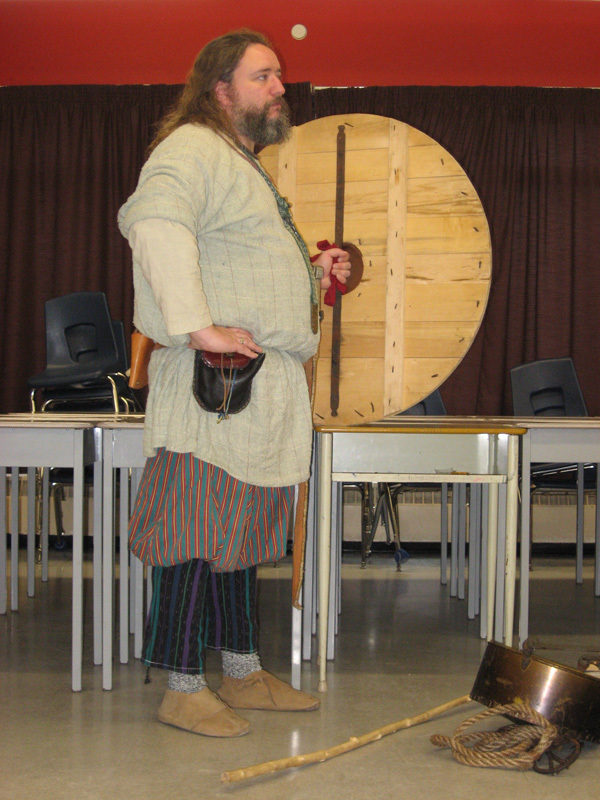 Ragnarr demonstrates how to handle a shield before handing it out to the students to understand the weight and feel. At his feet a pot and navigation stick wait for their turn. By placing the interpreter in costume the past is brought to life.